scrappinwithjanet.. : D-lish mood board for June 2014. D-lish mood board for June 2014. 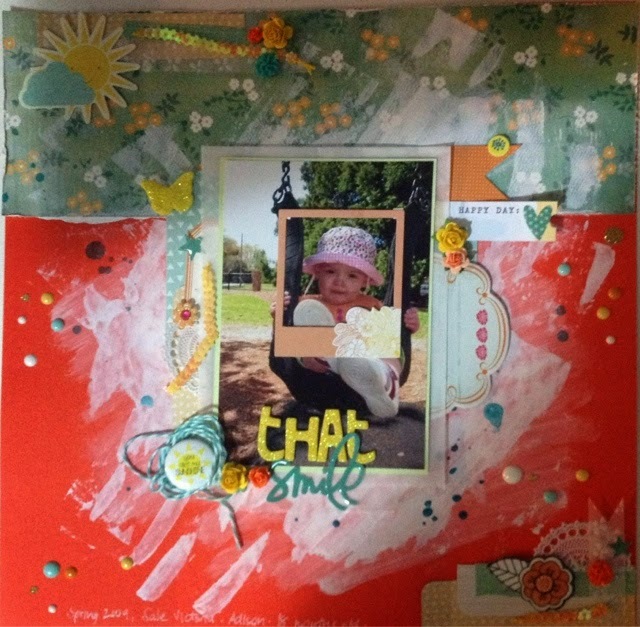 Here is my entry for June2014 using the gorgeous 'just add paper kit' from d-lish scraps called 'hello sunshine'. 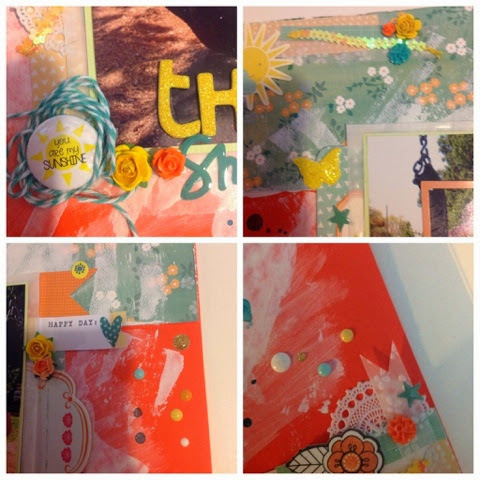 I have used the yellow glitter butterfly, sunshine flair, yellow roses and happy day tag from the kit. Lots of other gorgeous D-lish embellishments too .. The resin orange roses, mint cabbage rose, mint twine, enamel dots, yellow sequin flowers and orange paper rose. I may or may not have plenty of D-Lish goodies in my stash. Very cute LO and the painted backgraound is fabulous. Thanks for being inspired by D-Lish.